as its captain, determining the fate of it and all others aboard. Great grist for a game, but balancing those two opposing forces is more difficult than simply luffing the sails when beating to windward. Sails of Glory pulls it off admirably. The game is a descendant of their air game Wings of Glory (which feature another set of technologically advanced but individually romanticized machines) and uses the same base mechanics as the earlier game. Each ship is represented by a single model, and cards lay out how the ships can move. You set the card at the front of the ship, it moves to the set location on the card (depending on the wind), then, remove the card from under it. The movement system is an improvement over the Wings of Glory in that you don't have to effectively pick up the craft it order to retrieve the card. In a miniatures game, the exact placement of a unit is critically important as far a being able to hit, so moving it around during game play is a challenge. Combat is determined by range (short or long, as measured by a custom ruler) and by the type of fire (chain, shot). Each type of fire has its own basket of randomized chips to represent damage (long range has less-damage-inflicting chips, close range does more damage). In addition, there is small arms fire, which affects the crew. Damage to a ship can be against the ship itself, or the crew, and each ship has its own. The rules themselves are broken up into nice bite-sized levels. The basic rules lay out card use and basic firing. With the standard rules you start laying out movements in advance and options for types of shot. More advanced levels add specific damage as well as assigned crew to particular stations. This was a little too granular for my group, but it does get into deep into the weeds of running a fighting ship. Our Monday night group has played this a number of times, progressing through the rules, and found a learning curve as well in mastering the game. First major task was to stop sailing off the top of the table. Second was to accurately figure out how to bring the ship into the wind in order to turn. We actually have gotten quite good at it. 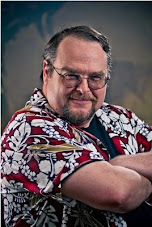 There is a dual challenge to mastering the game - both knowing the rules, and utilizing those rules on the tabletop. Doing both required a number of play sessions. The core game has two British and two French ship models, of a light and heavy version for each. The heavier ships inflict more damage, while the lighter ships are faster and more maneuverable. In the last play sessions we would say that the heavies have the advantage, but the game itself was extremely enjoyable. Additional ships are available separately (with their own cards handling manuver), though the game could use a rating system for balancing battles between different ships. 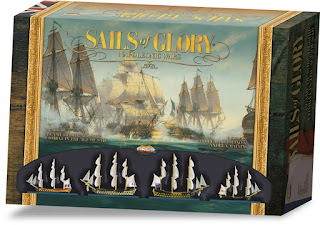 Sails of Glory fits that nice category of games that are easy to learn at first, then ramp up the difficultly as they become more accurate simulations. The basic is game is fun to master, and brings you along to more difficult attempts. 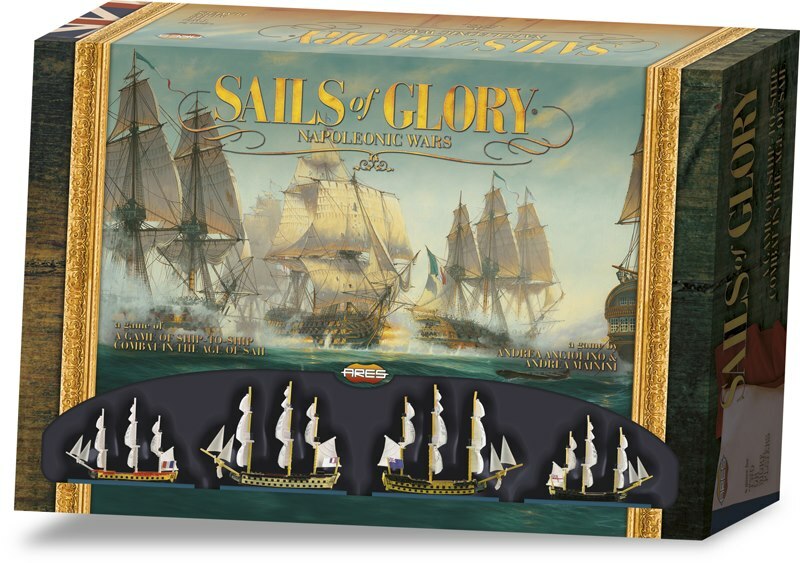 I've been a fan of various sailing games over the years, and this one combines ease of play, use of miniatures, variety of ships, and expandability. If you can find it, check it out.